From now until I decide I want to stop doing this, I will be giving out a monthly “Jennifer Award” for the best new-to-me thing I read that month. This can be fiction or non-fiction. It can be an essay/article, a short story, a novelette, a novella, or a novel. It doesn’t matter when it came out. It only matters that this is the first time I read it and I thought it was the best thing I read all month. Yes, it is completely subjective and biased towards what I like to read. 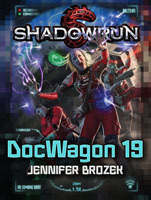 The winner will receive a shiny digital badge and a $5 gift card. 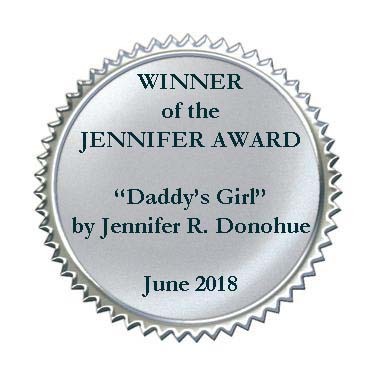 The winner for June 2018 is “Daddy’s Girl” by Jennifer R. Donohue. You can read it now on Syntax & Salt Magazine. This is the kind of short story that I adore. The end was a gut punch. It was so unexpected and yet… unsurprising when I thought about it. The clues were there. It’s rare that I reread a short story immediately after I just read it, but this one I had to. The story was good. The craft was better. Well done, Jennifer.